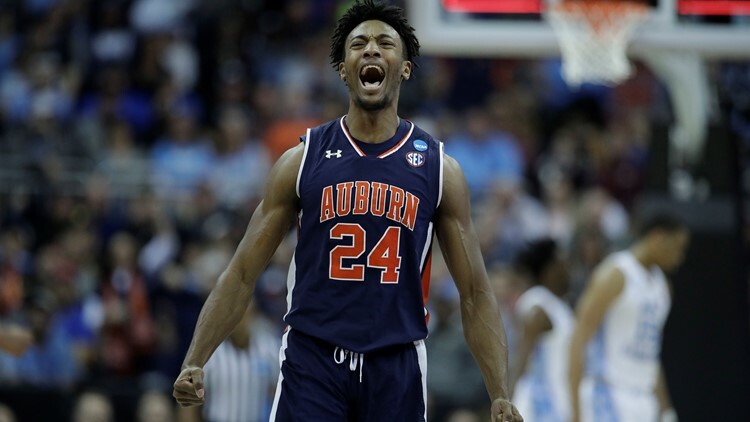 Fifth-seeded Auburn ran past No. 1 seed North Carolina on Friday night in the Sweet 16. The Tigers beat the Tar Heels, 97-80, featuring a barrage of second-half 3-pointers. And that sent the Tigers on to the Elite Eight for only the second time and first since 1986. North Carolina's Sweet 16 loss makes it the first number one seed eliminated from the 2019 NCAA tournament.